With a history of human consumption and use spanning 7,000 years, Garlic (Allium sativum) has been used both as a food flavoring and in traditional medicine. 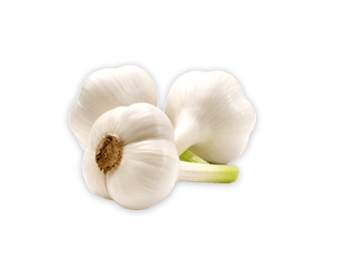 The sulfur compound in Garlic, allicin, produced by crushing fresh garlic, also produces other sulfur compounds including ajoene, allylpolysulfides, and vinyldithiins. In substantial quantities, Garlic contains several nutrients including Vitamins B1, B5, B6 and C, and the minerals manganese, phosphorus, calcium, iron, and zinc.